GOOD MORNING my sweet friends & welcome to our last day of sneaky peeks for the 55th Edition Release! WOW, today is my FAVE day with so much to see so let's get started! Starting this Friday, May 20, 2016 @ 8am PST ~ Our "Freebie" for this release is this ADORABLE "Script Words" stamp set! It will be given to the FIRST 150 shoppers! If you are one of the 1st 150 shoppers it will be automatically added to your package at the time of packaging/shipping. Once 150 shoppers come through, this stamp & die set will be available for purchase. So, if it's for sale in the store, you are not one of the 150. No exceptions will be made. This freebie is not part of the "bundle" and will be sold separately! For my card, I wanted to show how you can use this freebie set to congratulate a friend who is pregnant! How ADORABLE is this??? 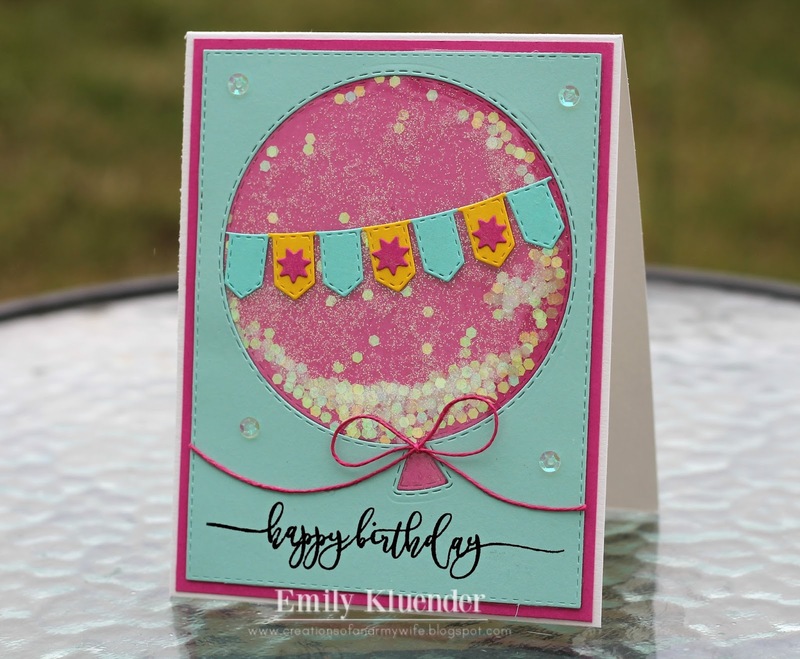 Okay, now onto my card using this NEW AWESOME "Stitched Circle Balloon Dies!" I am just SO HAPPY about this set because now we can have big balloon shape FUN CARDS!!! I thing the set we showcased yesterday "Make A Wish" goes hand in hand with these new dies! I used the smaller candles & the sentiment from that set. They pair up PERFECTLY together! Now onto the BEST design team ever! Don't forget to click on each name to visit each blog to leave your comments for a chance to WIN this AWESOME new set of dies! These are great! My wife would love them! CONGRATS! I will email you shortly! use!!! I can't wait to try them! I've been looking for scripts sayings!! What a great release this month! Happy birthday miss Emma. Good Morning Miss Emma.OMG. 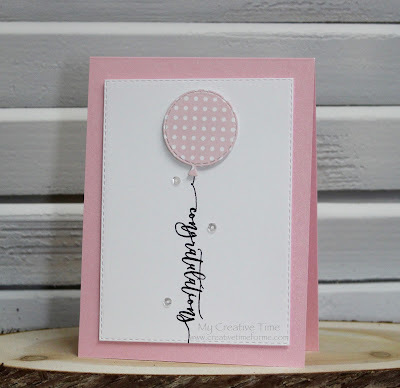 Love your Freeby stamp set it is awesome and what a beautiful font and so loving your Stitched Balloon dies.....your card is Funtabulous...love how the word is the string. OMG I am LOVING today's sneaky peek WOW!!! 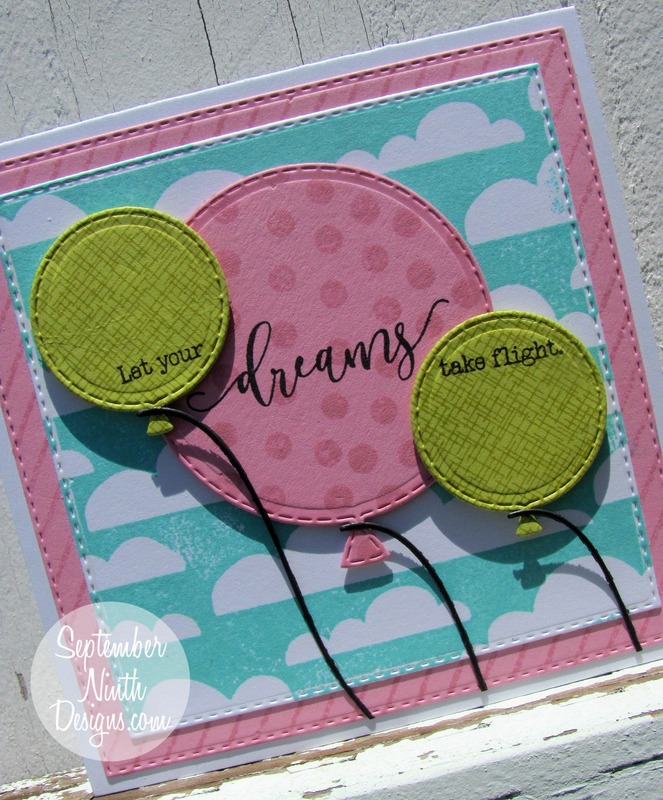 Your idea about a balloon card is amazing and is so cute!! GIrl you have totally out done yourself with this release!! I am in total awe!! Hope you have. Tremendously Terrific Thursday!! YOU SO ROCK!! Absolutely in love with everything the design team came up with. Oh Emma, It's truly getting super creepy at how you know everything I'm wanting you to release ;) I am extremely in love with today's sneaky peeks, as I have been dreaming of stitched balloons just like these! Then you go and throw in the freebie! 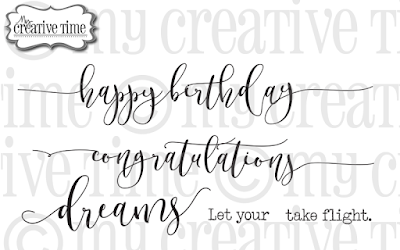 I adore the font, wording, and size of the freebie set! Guess you won't be able to sleep tonight because they'll be too excited for the release tomorrow? You guessed it. That will be me! Thank you so much Emma for always creating such fabulous products! I am smitten with you cards as well! They are so fun and adorable! I love them!!! Lovely! I love that those can be balloon strings with the greeting! Your cards are darling, Emma! I love these sets!!! 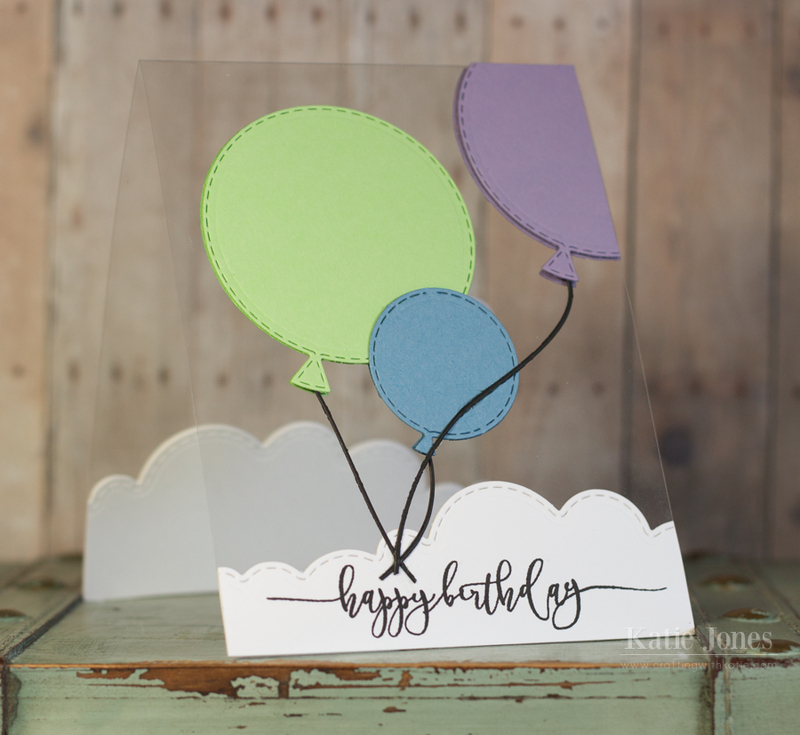 Fun font and love the balloon dies--I'm thinking birthday banner! 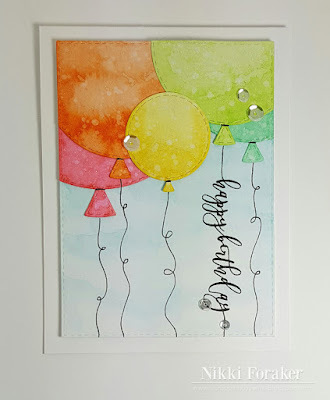 Love these balloons and the sentiment script...once again, an amazing release! I love this whole release!!! 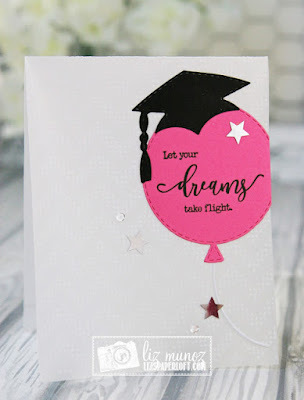 Love that the balloon die is big enough to make a shaker card and the font on the freebie is beautiful! What an awesome set! I love the size of the Stitched Circle Balloons, perfect for cards and scrapbooks. I've been thinking scrapbooks and this release is going to be perfect. Hello Miss Emma! Your cards are gorgeous! 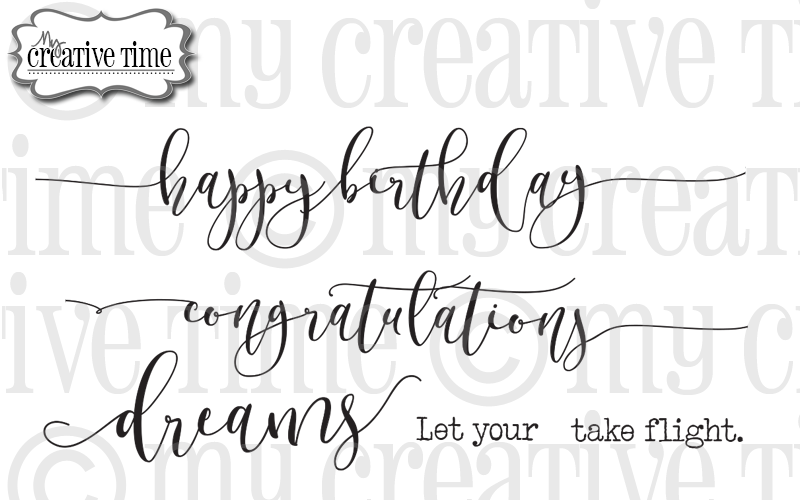 I love the scripty sentiments and that super cute large balloon die!!! I loVe both your wonderful cards. LoVe, loVe, loVe that sweet baby congrats card. And what a fun balloon shaped card. I LOVE this release! Thanks for sharing. I love all of these , must have them!!!! I love balloons! !Such wonderful cards.One of my favorite releases! The sentiments are great and the balloon dies are nice too. You are right you do have a very talented team. Thanks for the sneaks. this is a fun set. The DT did a great job highlighting the set. Another amazing die set! Can't wait to get it. Another great set. Love the sentiments. Love the script words, so pretty! WOW!!! How cool is this?! I love the chunky balloon dies! I think this is a must have! Super cute release and another fantastic freebie! I love today's sneak peek- absolutely love all the cards! That stamp set- the font- IS A MUST HAVE!!! Balloons always make projects festive! 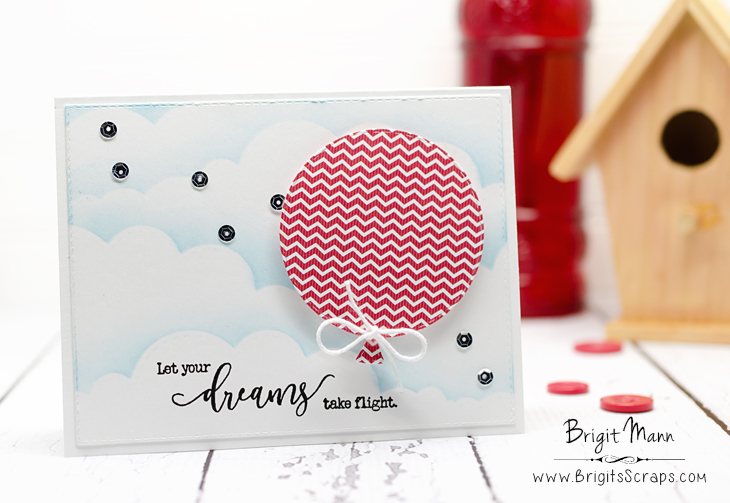 These stitched balloon dies are just so cool, and I LOVE what you and your design team created with them! 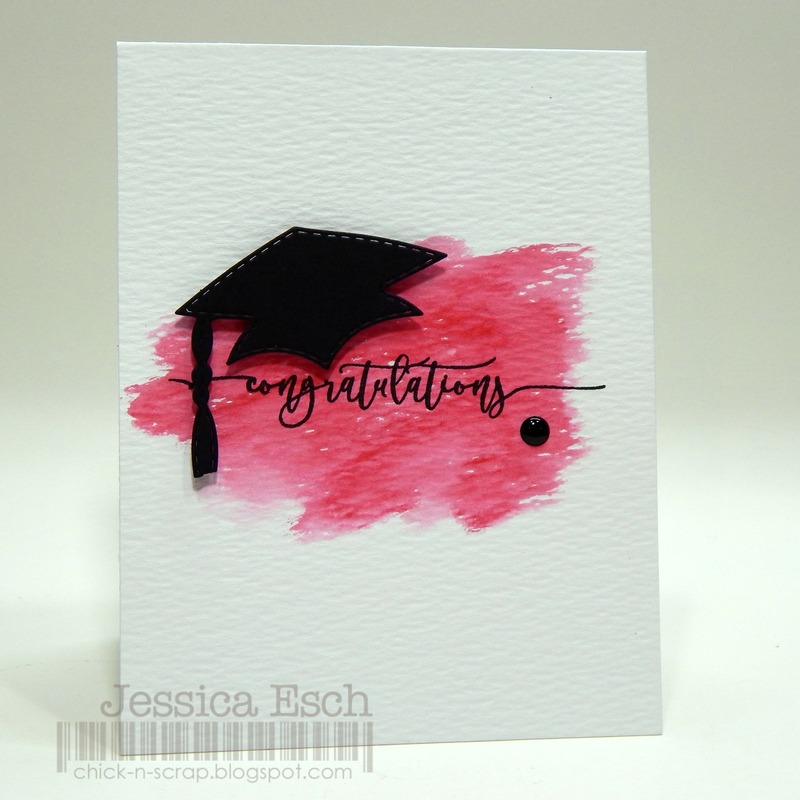 I really like your fast and simple congratulations card...the new Script Words stamps are so fun and pretty. 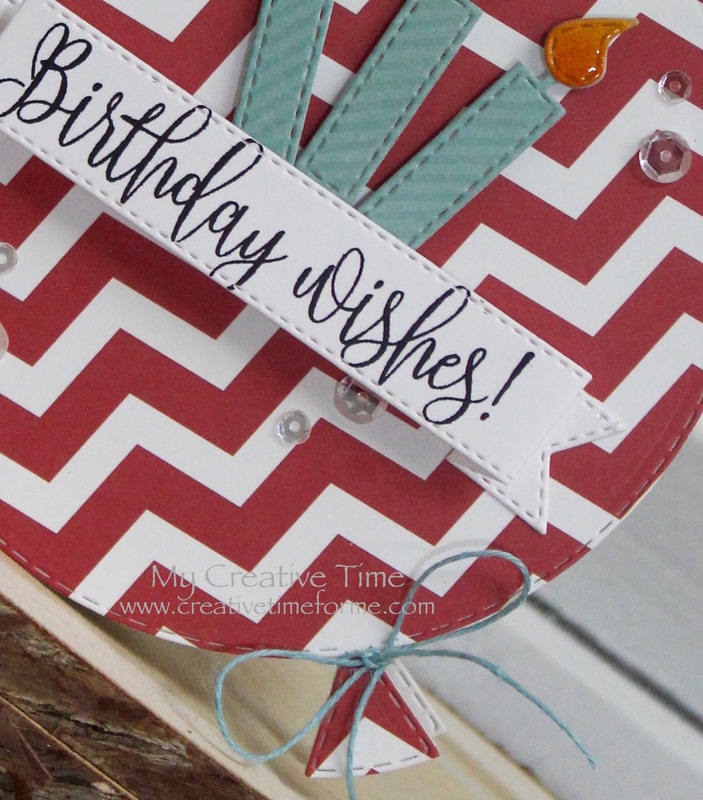 Your birthday wishes shape card is wonderful using the balloon shape...so cute with the candles and banner. 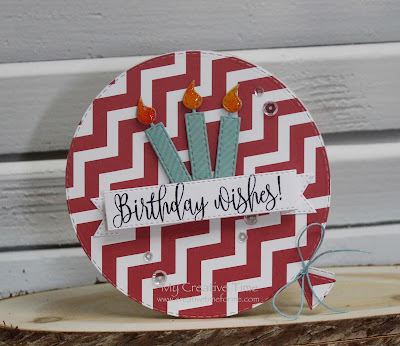 I will be using the sneaks today a lot as I have many birthday cards to make. 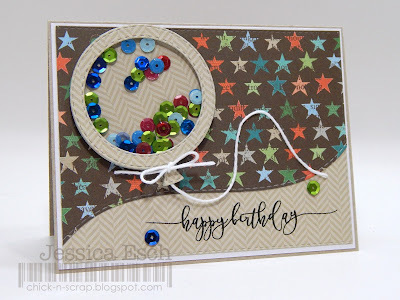 You and the team did a fabulous job showing the new release and different ways to use all of the stamps and dies. Beautiful job everyone...you all are amazing and clever. 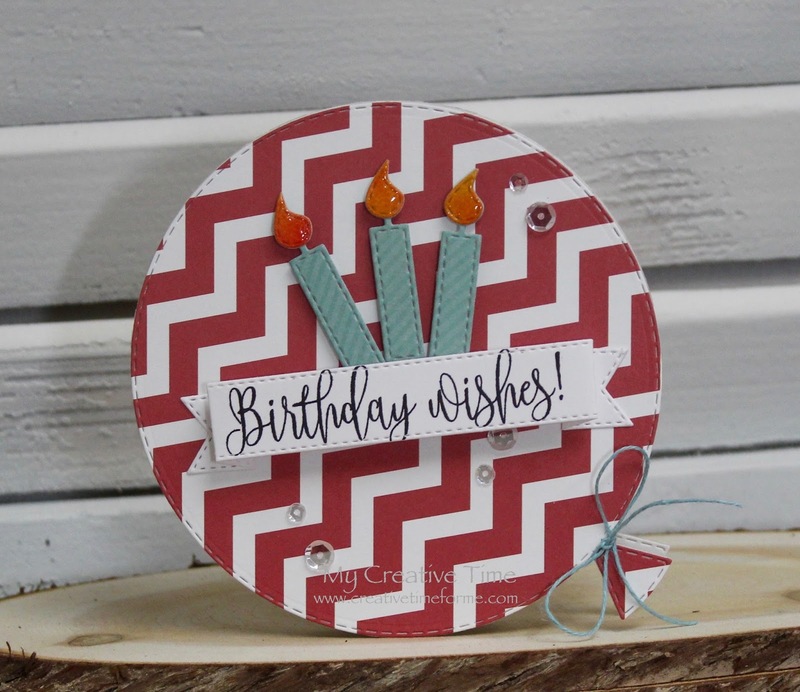 I love the shaped card, the dies are adorable and love the new freebie set!! Great script. Thanks for share. Love the script of this set!! So neat and love what you created! Really love both of your cards! They both look amazing! Really love this freebie set too! Thank you for all of the inspiring projects this week from you and your team! Another successful release! Thank you Emma! I've been wanting large birthday balloons for a long time!! I love these diecuts!!! your cards are also adorable. Wonderful dies - can't wait to use them. Thank you! Great cards! Love the new dies!